The number one reason my readers want to earn more money is to have the option of quitting their job. The key word there is OPTION. It’s not that we all want to quit tomorrow. It’s that if we eventually decide we want to leave…we can, knowing we have the financial security and options to not have to depend on a paycheck. So today, I’m thrilled to share the story of one of my Earn1K students, Ann, who did just that. I’ll show you how she charges $140/hour, and how she earned $40,000 using a strategy I taught her in Earn1K. And I’ll show you how you can do it, too — and eventually quit your job if you want to. How Ann got “unstuck” from the corporate world. Ann stuck to her job description by day. But on nights and weekends, she started building businesses to help achieve her dream. A catering company in Barcelona doing Scandinavian tapas. Teaching people how to make sushi and importing Japanese tableware. She was willing to work hard, but Ann needed a systematic way to grow her business. Now 31, she signed up for Earn1K. Ann became a web & graphic designer for expat entrepreneurs and tech startups in Switzerland, landing her first $3,500 contract in week one. In her previous businesses, Ann would start with a lot of energy. Getting excited about the branding, designing a logo and making business cards. She’d land clients… but lose momentum, and eventually shut the business down. Then, she found in Earn1K a systematic method of building her business — my referral technique and scripts — that allowed her to sustain the momentum. In six months Ann has earned over $40,000, and 10% of her work is free to nonprofits. Three months after starting Earn1K she was finally been able to quit her corporate job and focus on what she loves. Ann is charging $140 an hour and in June earned $10,000 – double her old corporate salary with half the hours worked. NOTE: It’s easy to say, “Well, I could never do that. I can’t even get ONE client, much less 35!” But scroll back up. Ann failed at idea after idea. The key was turning her hard work into a systematic process. Most people pursue business the wrong way, then give up, frustrated. Ann invested in herself to learn how to be systematic, and now she’s reaping the rewards. Ann had one last piece of advice for would be entrepreneurs. I’d be very curious to learn how you instruct your Earn1k students to assess their skill sets that could potentially be turned into successful freelance businesses. I know you spend a lot of time talking about getting in customers heads, which is one of the most important steps, but it’d be nice to work it from both ends (what i have to offer vs. what customers want). I think many people (including myself), have jobs where they’re paid a decent amount of money to do some kind of work, but somehow feel like they don’t have anything to offer. A sort of invisible script of “impostor syndrome” where a business is already paying you to do something they value in theory, but you have a mental block to believing those skills translate into a freelance business. This is an excellent question. I look at the typical types of freelance businesses that exist and I haven’t been able to figure out how my skill set works for those types. I’ve been trying to pin down the specifics of my skills to see how they would be useful in a different context, but I keep getting stuck. That is a good question. We built a process to do exactly that in Earn1K. It should be “script”, not “scrip”. And you call her Ann most of the time, and then she becomes Ana. Love your stuff stuff nevertheless! I love your stuff, Ramit. I have for years and I was so excited when I finally joined Earn 1k, but things haven’t gone as planned. I haven’t hit my goals and I’m feeling like it’s not because I don’t have a system (because now I do). I’m feeling like it’s because I’m just not good enough. I don’t like that feeling. I’ve never accepted it before, but I’m about to give up on the dream of having my own business. I’ve been killing myself for years. SO, what do you recommend when you’re struggling and questioning if you even have what it takes to do this? Where you do turn for more training to make sure you’re really good at what you offer to people? 1. Go through the Earn1K material and follow the action steps. They are there for a reason, and they work (we tested them extensively with thousands and thousands of people). 2. Break down the mental barriers you’re feeling. When you say you’re “struggling” and “questioning if you even have what it takes,” those are very real feelings — but vague. What exactly is holding you back? Write them down. Break them down. Analyze if they are real barriers or simply perceived ones from a long time ago. We cover this in the E1K program, so again, I encourage you to start from the beginning without skipping any action steps. love this story. assessment of transferable skills is key and often underrated and not even thought about. people dramatically switch industries all the time and do very well because of these x skills. many of my students who have gone on to become CPAs all started in accounting industries, but many are in various careers today doing just as well if not better. they are happier and more fulfilled, and so are those who have remained in accounting. the key is what Ann did in this story. pursue something where you can succeed personally (contentment) and professionally. I think the skill assessment is difficult for many people. While you could probably go through the list of things you do at work, a large part of the value you contribute to a company is “being around” to do various types of work. So once you take away the “being around” factor, what valuable skills are left that are transferable to freelance businesses? This is very inspirational. It can’t be easy to make such a big leap into the unknown. I like my job, but it’s nice to have options no matter who you are and how much you enjoy what you do. Plus, you never know when that will change! 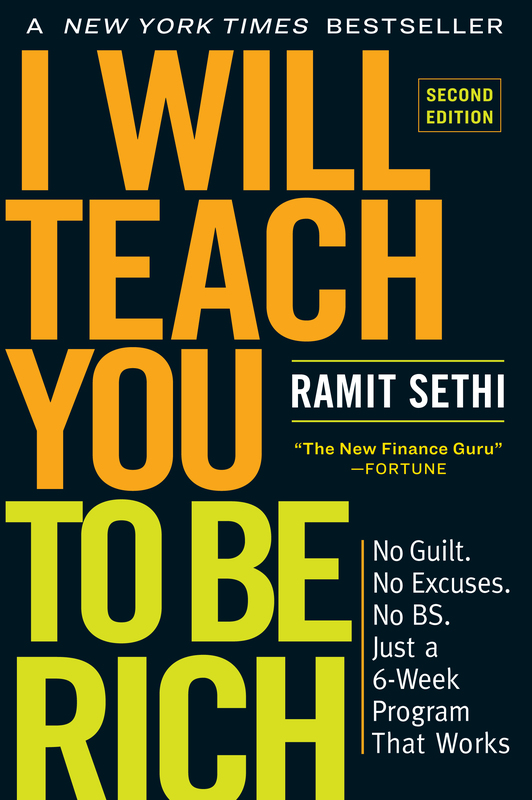 Inspiring case study Ramit. Please keep them up. Looking forward to the email script. By the way what would you say would be the first baby step for an aspiring marketer to start learning writing copy? Excellent, I’ll keep my eyes open for when you open up Earn1K again. I’m an idiot. Read too fast to realize it was US only. Hereby amend my answer to San Diego. As if that was any more compelling.